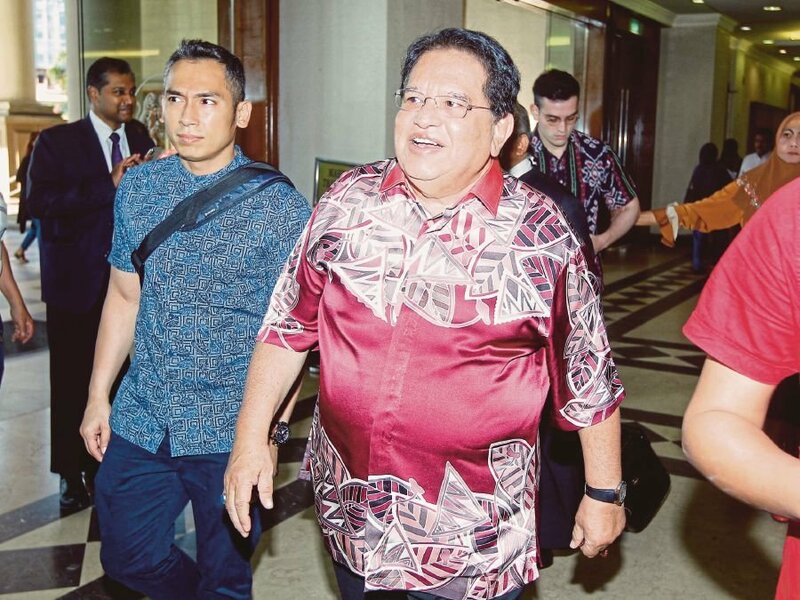 KUALA LUMPUR: The High Court here today allowed an application by former Federal Territories Minister Datuk Seri Tengku Adnan Tengku Mansor to obtain his passport temporarily in order to visit his children in Australia as well as to attend business meetings in Indonesia. Judge Mohd Nazlan Mohd Ghazali allowed Tengku Adnan’s application to have his passport returned after hearing submissions from Tengku Adnan’s lawyer, Datuk Tan Hock Chuan, and Deputy Public Prosecutor Julia Ibrahim. The judge ordered the passport to be released today and to be returned to the court by Feb 28. “My client wants to visit his two children, aged 18 and 13, who are in Australia, especially the youngest daughter who just started school on Jan 30,” Tan said. He also submitted that his client had to attend several business meetings in his capacity as a board member or a shareholder, which were scheduled in Indonesia. Julia said she had no objection to the application by Tengku Adnan. Last Nov 15, Tengku Adnan pleaded not guilty to a charge of receiving gratification of RM1 million for himself from a businessman, Tan Eng Boon, through a Public Bank cheque belonging to Pekan Nenas Industries Sdn Bhd that was deposited into a CIMB Bank account belonging to him (Tengku Adnan) to obtain approval for an application by Nucleus Properties Sdn Bhd (now known as Paragon City Development Sdn Bhd) to raise the plot ratio of the site with development at Lot 228, Jalan Semarak, Kuala Lumpur. The offence was allegedly committed at CIMB Bank Berhad, Putra World Trade Centre branch, Level 2, Podium Block, Putra World Trade Centre, Jalan Tun Ismail here, on Dec 27, 2013. The charge was made under Section 16(a) of the Malaysian Anti-Corruption Commission Act 2009 which provides for imprisonment for up to 20 years and a fine of not less than five times the amount or value of the gratification, or RM10,000, whichever is higher, if found guilty. Tengku Adnan also faces an alternative charge where, in his capacity as the Minister of Federal Territories, he is alleged to have received for himself RM1 million without consideration from Tan through a Public Bank cheque belonging to Pekan Nenas Industries Sdn Bhd which was deposited into his account, despite knowing that Tan, who is a director at Nucleus Properties Sdn Bhd (now known as Paragon City Development Sdn Bhd), was concerned with his official function. He was charged under Section 165 of the Penal Code for the offence and faces imprisonment of up to two years or with a fine, or both, if found guilty. On Dec 12, he was charged as a public servant in his capacity as the Federal Territories Minister with receiving valuables, without consideration, amounting to RM2 million from one Chai Kin Kong, through a Hong Leong Islamic Bank cheque belonging to Aset Kayamas Sdn Bhd, which was deposited into a CIMB account belonging to Tadmansori Holding Sdn Bhd in which he (Tengku Adnan) had an interest and which he knew had connection with his official function.